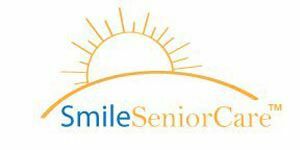 •Incontinence Care & Much More We help families by taking time to understand their loved one's needs and then customizing a care solution for their budget. Call us today to schedule your FREE in-home care assessment or just talk to one of our eldercare advisors. Our Service Area - Serving the Los Angeles region with a focus on the following areas: Altadena, Arcadia, Burbank, Glendale, La Canada, Flintridge, La Crescenta, Montrose, Pasadena, San Marino, Sierra Madre, South Pasadena, and Sunland. Feel free to contact us for additional locations. 2) Integrity - Has a sense of trust been established? We believe this is the key to a comfortable relationship and the wellbeing of the client. That's why we carefully screen all our personal attendants, are a member of professional home care organizations, and provide a written contract.